The U.S. Consulate in Turkey's largest city announced it would not be handing out visas or providing any other services on Wednesday because of a "possible security threat." The consulate will be operating with only a skeleton crew, State Department spokesman John Kirby said Tuesday. But it will be business as usual at the U.S. Embassy in Ankara, the consulate in Adana, and the consular agency in Izmir. Kirby did not divulge any details about the reported threat. But Turkey borders civil war-torn Syria and has been battling Kurdish separatists for years and. more recently, ISIS. The warning comes on the heels of security message that was sent to U.S. citizens Friday warning of a possible threat against the Istanbul compound and advising them to avoid the consulate "through the remainder of the weekend until December 6, 2015." "This supersedes anything that went before," Kirby said. 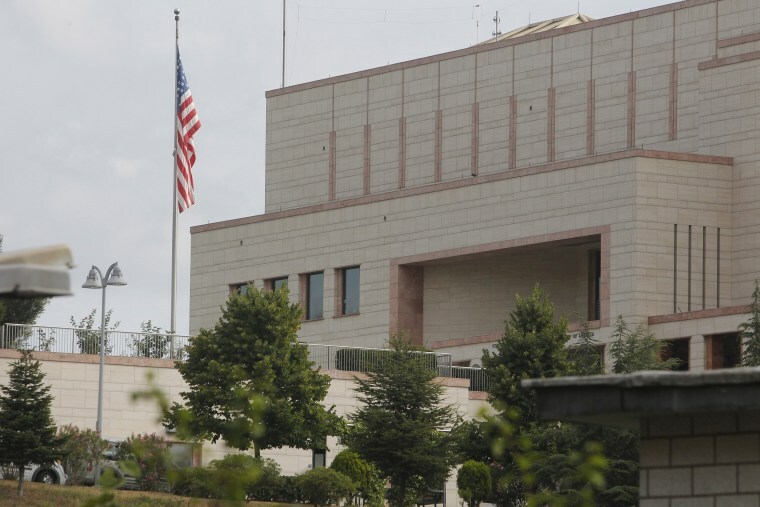 "Obviously, we want people to be mindful of the threat around the consulate in Istanbul. And clearly, send a security message that people should take pains to avoid that area." The consulate in Istanbul has been the target of terrorists before. In August, two women who reportedly belonged a far-left militant group fired shots at the consulate on the same day that at least nine people were killed in a wave of separate attacks on Turkish security forces. Nobody was hurt at the consulate, but the attack came weeks after Ankara launched a crackdown on ISIS, Kurdish and far-left militants. Back in In July 2008, the consulate was attacked by terrorists. Three Turkish police officers and three of the attackers died in the ensuing gun battle.